North end of the High Line, New York. It’s amazing how much new construction is going on along the High Line. Who would have thought turning a rotting elevated train platform into a park could transform some tough neighborhoods? This is right next to the Penn Station rail yard and a very large building is going up with many cranes working the site. This monster was parked off to the side and I could not resist taking a picture of it. It looks like a cross between a weapon and a space vehicle. There may be larger mobile cranes but I doubt they’re much larger. 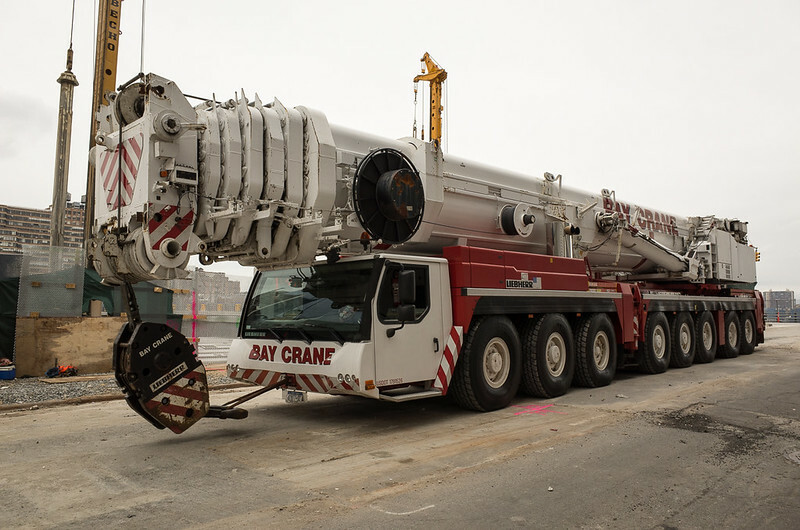 Can you imagine trying to drive this rig around New York?